Telecommunications Services of Trinidad and Tobago (TSTT), one of the leading telecom companies in the Caribbean, has been expanding its services in recent years. In addition to moving deeper into the world of mobile, the government-controlled provider has begun building data centers. What started out as a way to manage its own data and business intelligence needs has expanded into a new business line that continues to grow in line with increasing demand from both local and international companies operating in Trinidad and Tobago. TSTT now provides an array of data center services to companies in a multitude of industries, in addition to the public sector, along with its core connectivity and communications offerings. To find out more about the latest developments and TSTT’s plans to further build out its network — including additional data centers planned in both Trinidad and Tobago — Finance TnT Executive Editor Loren Moss recently sat down with a few of the the company’s executives. The following conversation includes insider insight from the following TSTT leaders: Rakesh Goswami, executive vice president of strategic alliance, enterprise, and Tobago operations; Paul Mayne, chief information officer; and Sean Koon Koon, manager of IT data centers and IT infrastructure. Loren Moss: Can you start by just telling me a little bit about TSTT and its services. What do you offer and how did this lead to moving into the world of data centers? Rakesh Goswami: TSTT, the Telecommunication Services of Trinidad and Tobago, is 51% government owned and 49% owned by Liberty Global. We are the only full-service provider of connectivity and telecommunications in Trinidad and Tobago. By that, I mean that we have a quintuple play. We have landlines, broadband, and entertainment in homes — basically an IPTV service — that makes up the traditional triple play. On top of that, we’ve got a full security solution in home monitoring. And then the fifth thing we are doing is mobile. We are one of only two mobile service providers on the island. We have the majority share — close to 60% by dollars — and, within that, we pretty much own the corporate market. So those are the five services that TSTT delivers. We pretty much control the corporate arena — 75% to 80% of the corporate arena is ours. All of that is produced by 5,000 kilometers of fiber that we have across all of the six main exchanges and then outward to the edge of the network. We are the only ones that have anywhere near that level of fiber services. All this put us in a brilliant place to have launched a data center. That was the genesis and, of course, the data center originally started internally for our own telco services. Loren Moss: How did you determine that the demand existed for a local data center? Why did you feel that this was needed? Rakesh Goswami: There are two parts to that answer. The first one is that we already developed our technology and IT department. We already took it upon ourselves to create a TIA 942-certified data center. So we went high — real high — level. For our internal purposes, we wanted a data center that is as professional as it gets. So we created that first. Loren Moss: What types of services are customers looking for? Paul Mayne: There has been a significant convergence between communication services and IT processing services. For a lot of the services that people have around email, for example, the size and the expense of it grows very large. And for us to address this market, one of the things we realized is that there is a potential that customers can go off island if we don’t we give them the capability on island. Secondly, as we transformed our network, our network developed really along with a software-defined data center. The whole convergence is at such a point that everything is really data. A lot of our network capabilities include transforming from digital-voice-switching services to data services and IP-based services. We understand how to run and process data, and we are using that for not only ourselves but for some of our customers. We have been expanding that whole edge of services to start looking at things like: how do you want to host email, how do you want to host video and data, how do you want to back up and retain storage. And we have learned how to do disaster recovery. For many companies, it was a question of whether you do it off island or on island. More and more customers are keeping it on island. Loren Moss: Is the data center primarily aimed at local businesses or to international firms? Paul Mayne: It’s a combination of both. And, right now, the borders between what’s local and what’s international are becoming blurred. If you look at a lot of our customers today, they may use services like Google or AWS off island. But, realistically, and also because some of the privacy laws that exist, people prefer to keep their data on island. In terms of customer data and financial records — because of the laws that exist around the world — everybody wants to keep their data local. They want to keep it secure, and they want to have it privatized and managed on a level that they can see and understand under the laws of their country. Rakesh Goswami: A key advantage that many enterprises feel about our data center is that we are local. We are based in Trinidad and Tobago. This does two things for a lot of the government entities, some of the banks, and some of the local entities. First, they want to know that their data is not being looked at outside of the country. As you know, in the United States, where a large number of the other data centers reside, companies are required to make that data available to the government under certain circumstances. So avoiding that requirement is a big advantage that we can provide to some of the local companies. They like to know that their data is here and that their information will remain local. Paul Mayne: It is also important to understand the strategy. When you are building a cloud, you just don’t build it around a single facility. The whole transformation of the network is to be a software-defined network and to really start moving toward the data centers instead of switches. We are now going to be expanding from a single, primary data center to four data centers around the country. So we have geo-redundancy in the event of any potential failure, and we have the ability to move workload from one data center to another. We built 60 racks in this primary data center under the best, world-class conditions. But we are also transforming four more other data centers to the same standard to promote stability, to move workload, and to have the capability to spread across the island. We have a primary data center located in the center of the island, and we are looking at building another data center in the north — or transforming one of our data centers in the north — and then another in the south. We have those other two online right now and this will make sure we have a complete geographic coverage. Rakesh Goswami: And we have the other island — Tobago, our sister island — where we have been awarded the contract to build a center. We will be doing it in partnership with the local government, which is called the Tobago House of Assembly. That brand-new data center will also have the same standards and be the first heavy data center in Tobago. 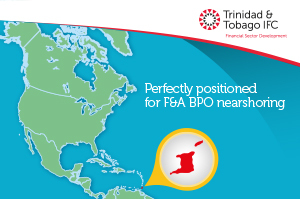 Part of the philosophy is having a backup in Tobago for Trinidad customers and vice versa. Loren Moss: Let’s talk about the connectivity in Trinidad and Tobago when it comes to fiber. Does a typical small business, or let’s say hotel, have access to direct fiber connectivity? Rakesh Goswami: We have 5,000 kilometers of fiber in Trinidad and Tobago. Every single exchange, every single cell site — and we have over 450 cell sites across the island — is linked back to an exchange on fiber. Not using wireless. We have a very extensive fiber web. So, the answer to your question is yes. They will have access. Paul Mayne: One of the things that we have had to do as part of our strategy in building broadband was prioritize based on customer growth and customer demand. And this was also based on where we had industrial demand and growth. We have built our fiber to almost every facility — every major building and office from the government and the private sector — across the island. Accessibility to high-speed data is there. To increase that capability, since it is not only just about what we have on island, we have also quadrupled our off-island capability. We call that our website capability. And we have made that redundant, to four channels that connect to Miami and other islands in the Caribbean. We have gone through and given ourselves a contingency, using some of the network operated by Columbus. We’ve got standard capabilities there. So we’ve built a very strong internet capability on island and off island. On island, the speeds that people can get on our network are incredible. Loren Moss: Globally, there is a mass migration to cloud infrastructure. Many companies have terminated their on-premises or data center infrastructure, favoring cloud services from providers like Amazon AWS, Google cloud services, or Microsoft Azure. What is TSTT data center strategy towards this evolution? Paul Mayne: We are not actually going to compete with Amazon or Google because they are pretty much based on a niche for those that want pure computer power and capability. We are instead looking at customers’ needs and saying that we can offer combined service that has computer storage and communications — and at a cheaper price than you could do for yourself. Secondly, when you look at data centers today and the cost of building a data center today, it has gone up almost 200% in just the ability to expand. Most companies on the island have a single primary data center — they don’t have a secondary. To build a secondary, the cost is astronomical. No one is going to the board and asking for $40 million USD to build a secondary data center that is not going to generate additional revenue. So they will look at using a cloud service or hosted service that can keep not just data but also a service — CRM, Oracle, SAP — and they look at having that processing capability somewhere. It’s a little bit more than what AWS and Google would provide. So one of the things you will also look at is that, as a national telco, we are providing connectivity that is including and cooperating with companies like Amazon and Google and then they are actually talking to us or being somewhat of a local presence for them. That’s what’s important for people to understand — that’s the strategy of those companies globally. They are not trying to come in and take over the market here. They are actually realizing that, because of geography, because of the communication side of it, partnering with a telco is critical in every market. 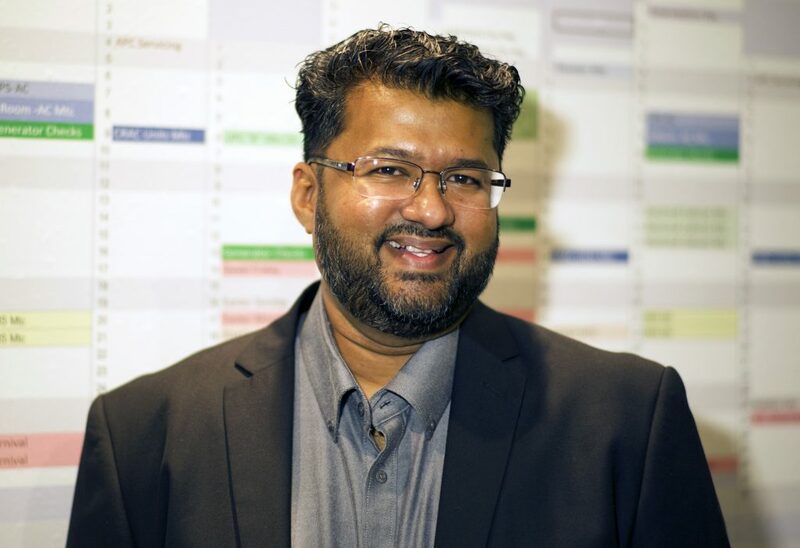 Rakesh Goswami: Another fundamental point is that we already have been dealing with these enterprise customers on a day-to-day basis for a number of years. We are effectively a strategic partner, and that is how we function. We are not a vendor. We are not a telco supplier. We are a strategic partner to our customers. We have their trust, and they have ours. It is easier for them to just be with us. It makes sense. They are already trusting us with all of their telco needs and their other broadband needs. We are offering them a data center and the ability to connect easily — plus the advantage of that data remaining secure and private on island. There is the potential to have a backup, if they require it, off island somewhere. That could be in Curacao, it could be in Brazil — there are a number of options. That makes it a very compelling business case for the customer. Loren Moss: What are your prospects for growth? What markets or customer areas do you see as your best growth opportunities for the data center? Rakesh Goswami: We have the whole host of data center-related services. Currently, we have a virtual data center, which is a pool of computer resources that just enables the customer to create their own little private cloud. We already have that. We also have virtual machines. For any application, if a customer wants virtual machines, we can offer that. And we just started offering disaster recovery as a service. What we are going to be offering next will be backup-as-a-service. That is definitely something that we are going to be doing more and more, as well as infrastructure-as-a-service and possibly software-as-a-service. Paul Mayne: When you look at the future, there are two directions that you can take. The first one is with the cloud. The biggest advantage of people working with the cloud is really almost as a financial-engineering process. They can ask, “Do I want to make a large capital investment in a data center infrastructure or do I want to spread that cost based on my usage?” That is where you see a lot of that decision making coming into play. Also, when you look at education and healthcare, there is tremendous demand for data services for managing patient records or student records. This is data they must process at specific times of the year, such as, for example, when examination times come. They have to access all the student records and process them. That kind of large demand for processing gives us good leverage in the market.